After working so many years as a programmer, I find it hard to sit in front of a computer when nature beckons me so! I would rather spend my days working the soil, and watching the birds and the bees. 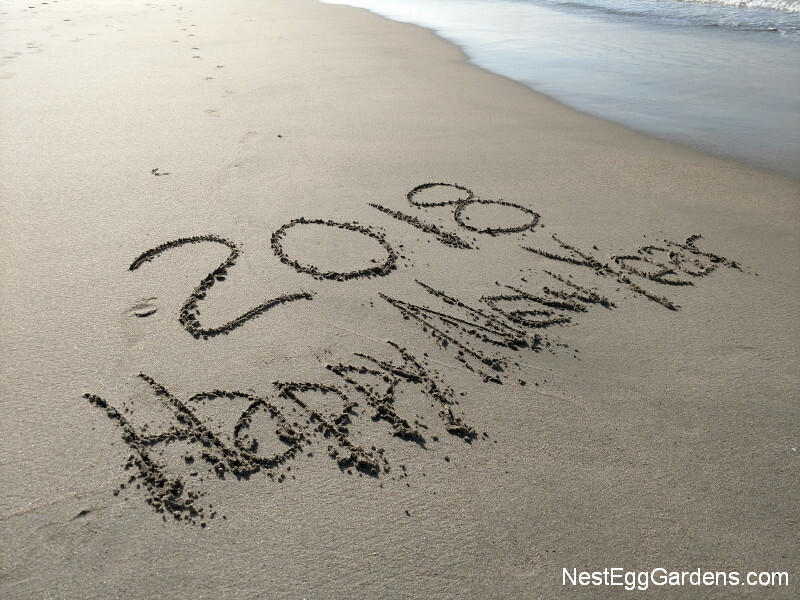 With Facebook and all of the other social media apps out there these days, it felt like there’s not enough time to post to each in a unique way. I find that I post pictures of the same things year after year (e.g., blooming plants, harvest, owls, etc.). Seems like I’m repeating myself (even though the plants are getting bigger and better every year). I do like that I can search my blog easily to look up recipes, and other specific info, so I’m again promising myself that I will try to take the pictures… and the time to blog more often. Wish me luck! This entry was posted in Grounds, Mother Nature on January 7, 2018 by Shelly Trabucco. What has caused everything this spring to bloom so above and beyond? The long suffering drought… followed by above normal rain this season? We don’t know, but it’s amazing! 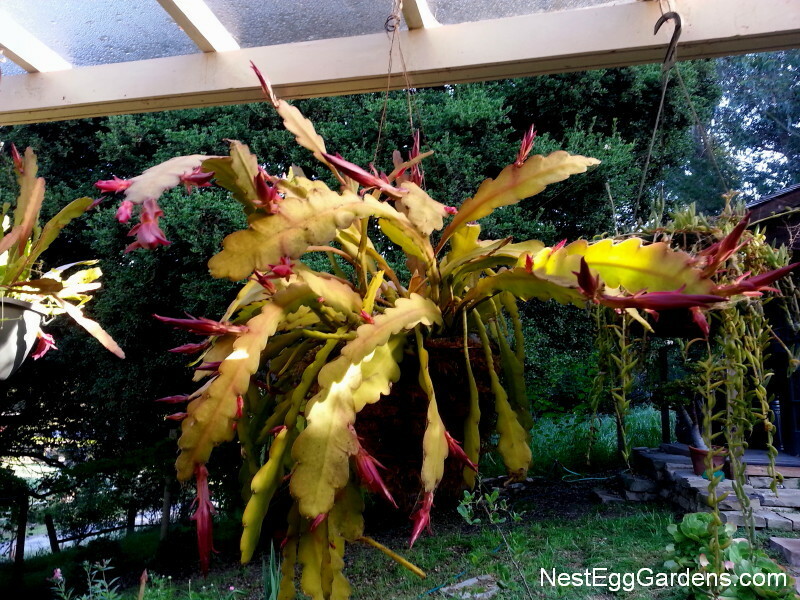 This Epiphyllum (Orchid cactus) has over 50 buds!! We can hardly wait until it’s a huge, hanging mass of flowers. My sweet peas have grown so tall that I have to use a ladder to cut my daily bouquet. 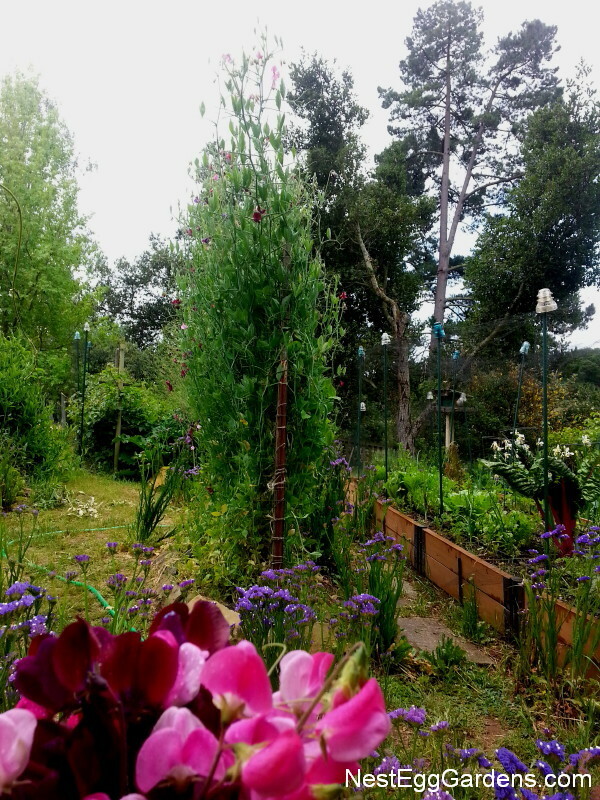 I learned to plant sweet pea seeds in mid September when I lived in the hot San Joaquin valley. They sprouted nicely in the warm fall weather to about 6″ tall. Peas handle cold winter temperatures easily, and they start to shoot up by February. You get blooms early, that fizzle later in the hot weather. Now with the cool summers here on the coast, they keep blooming for months! 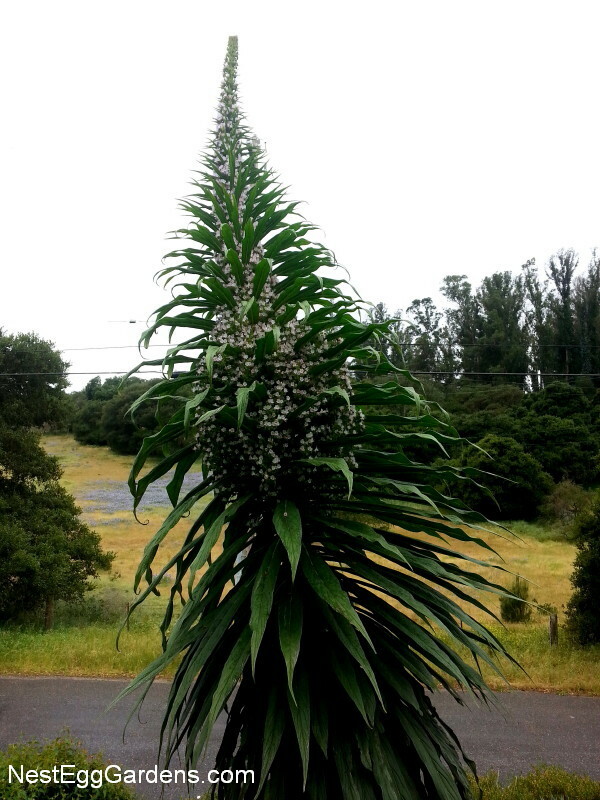 This Echium pininana alba, also known as Echium ‘Snow Tower’ is a rare white form of the Tree Echium. It’s grown over 12 feet tall (so far), and is covered with bees. Totally drought tolerant, this plant doesn’t need any summer watering, and really dresses up the cactus garden. 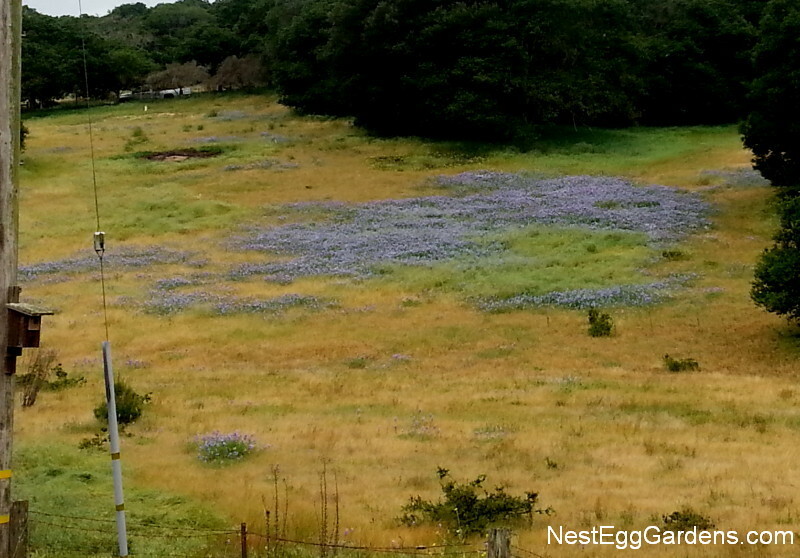 The lupine across the street is putting on a show like never before. Until last year, Popeye the neighborhood horse lived there, and kept everything trimmed to the ground. This property was sold and he had to move next door. Hopefully the new owners like lupine too. This entry was posted in Epiphyllum, Flora, Grounds, Mother Nature, Staghorn on April 29, 2016 by Shelly. One of the best times to go to the beach on the California coast is during the winter, with the clear, clean sky and no summer fog. 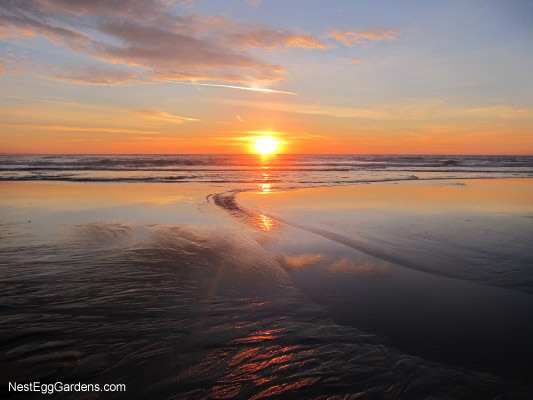 It’s this time of year when low tide coincides with the spectacular sunsets. 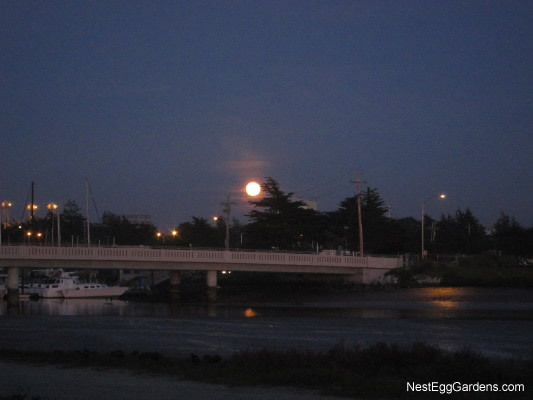 It’s extra special during the full moon… when a few minutes after the sun sinks below the western horizon, the moon rises in the east. This entry was posted in Mother Nature and tagged Winter on January 5, 2015 by Shelly.